Female Hands Puts Gift Wrapped In Emerald Paper With Red Ribbon On Retro Wooden Table With Christmas Decorations - Green Spruce Branches, Christmas Balls. Top Plan View. Foto Royalty Free, Gravuras, Imagens E Banco De Fotografias. Image 113085731. 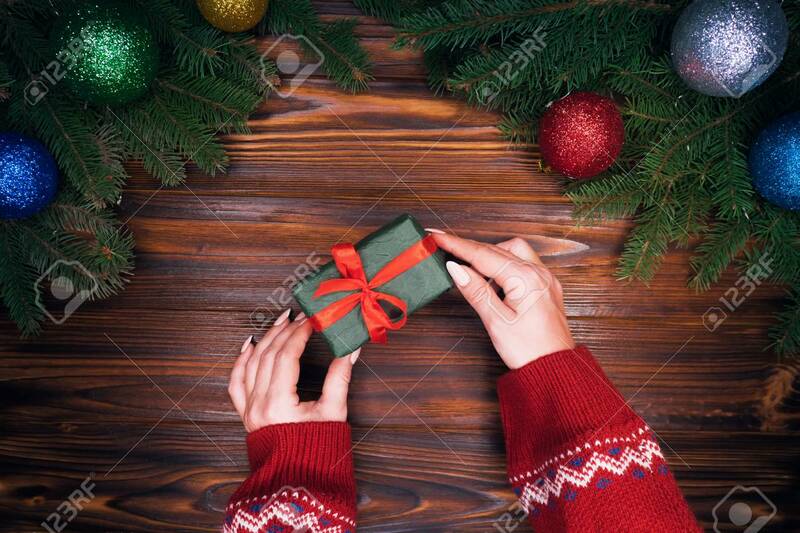 Banco de Imagens - Female hands puts gift wrapped in emerald paper with red ribbon on retro wooden table with Christmas decorations - green spruce branches, christmas balls. Top plan view. Female hands puts gift wrapped in emerald paper with red ribbon on retro wooden table with Christmas decorations - green spruce branches, christmas balls. Top plan view.